Today's Famous Food Friday offers up a free gift from Barilla Pasta. Meryl Streep is not the free gift, the gift is her recipe for Penne with Cauliflower, Roasted Pine Nuts and Romano Cheese; and Jimmy Fallon's recipe for Spaghetti Carbonara; and Mariska Hargatay's recipe for Pasta Alla Checca; and more. 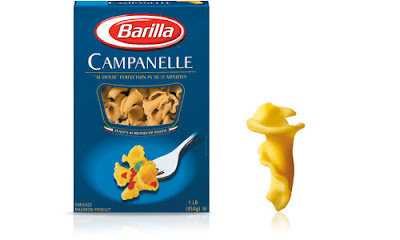 In an attempt to bring people together for a meal, Barilla started Share The Table. They are offering their Celebrity Pasta Lovers' Cookbook as a download, so you too, can cook like Julianne Moore. Celebrity Pasta Lovers' Cookbook is available till 15 October. There is a catch. But it is a good catch. To download, you need to click a button promising to Share a Meal. 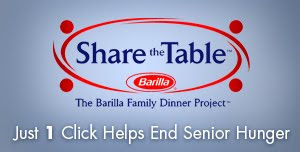 When you do, Barilla donates $1 to Meals on Wheels Association of America. Meals on Wheels gets money -- you get a cookbook -- how great is that. 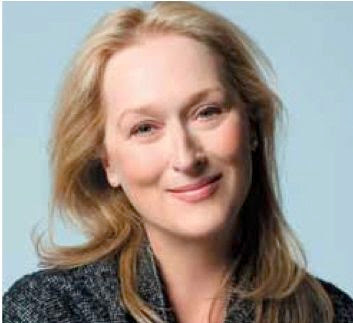 Meryl is not the gift? Glad you didn't add the smiley face! Very cute.